Mid-Friday afternoon, just before the lineups were released for Friday’s Game 1 of a 3-game series between the Tampa Bay Rays and the New York Yankees, the Rays announced that they were calling up LHP Blake Snell to make his MLB debut and start against the Yankees on Saturday. Previously, that spot in the rotation belonged to Erasmo Ramirez, but he’s bounced in and out of the rotation, and Rays manager Kevin Cash has already said Snell will make one start and then return to Triple-A Durham. Many Yankee fans became worried after hearing this news, and the common sentiment was that the Yankees don’t do well facing a pitcher for the first time and that Blake Snell is filthy and could potentially dominate the Yankees. With that, here’s a preview of what the Yankees will face with Snell on the mound today (Saturday, 4/23) and his history in the minors. 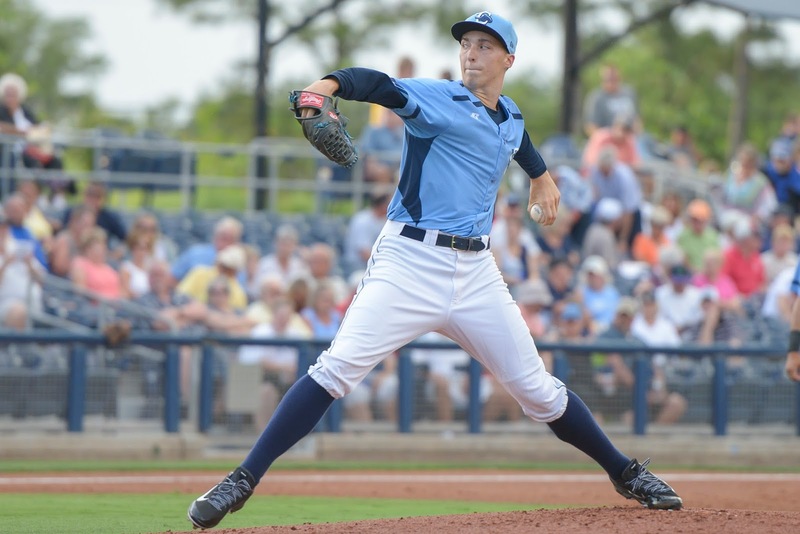 Currently the Rays #2 prospect and #12 overall as rated by MLB Pipeline, Blake Snell is just 23 years old, and was drafted out of Shorewood High School (Shoreline, Washington) by the Rays in 2011. Just to give some context, at #12, Snell is ranked ahead of Steven Matz of the Mets (#13), Jorge Mateo (#28), and Aaron Judge (#29). Between 2011 and 2013, the Rays didn’t rush Snell, letting him develop in rookie ball and Single-A until 2014. He actually pitched a rain-shortened no-hitter (5.1 IP) on August 2, 2014, when he pitched for High-A Charlotte. He was not a highly touted prospect until last year, but once he started off 2015 with 47 scoreless innings, he began to quickly turn heads. 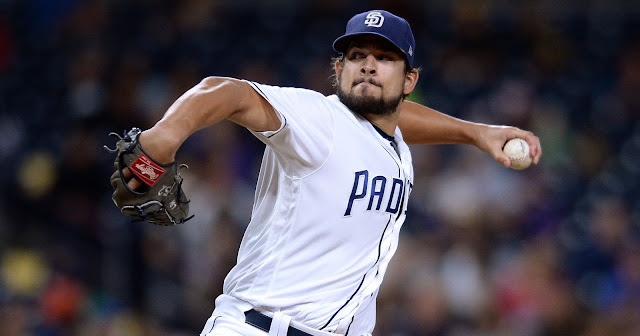 After 3 starts in Charlotte and 21 scoreless innings, where he struck out 27, he was promoted to Double-A Montgomery and dominated hitters there. In 12 starts, he pitched to a 6-2 record and a 1.57 ERA, striking out 79 in 68.2 innings. The only concerning statistic was that he walked 29 batters as well, but he fixed that issue once he got to Triple-A Durham. He concluded last year’s season in Durham, making 9 starts and achieving a 6-2 record with a 1.83 ERA. He struck out 57 and only walked 13 in 44.1 innings, and limited opposing hitters to a .187 batting average against him. 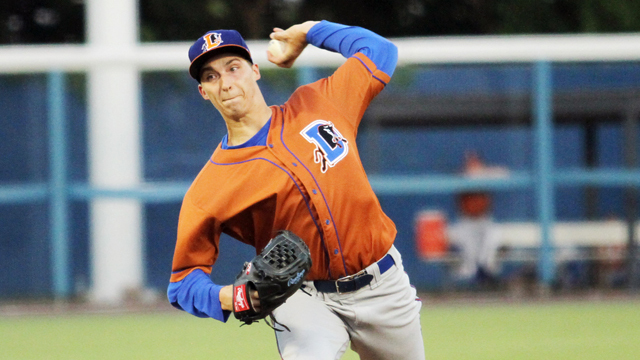 Snell continued to flourish in Durham, and in just 3 starts this year, he has a 1-1 record with a 2.51 ERA and he’s already struck out 21 batters in 14.1 innings. Snell owns a 92-94 mph fastball that reaches consistently up to 96 mph, with both a changeup and slider that complements the fastball. The fastball usually runs downward and sinks as it approaches home plate, and his slider is his best off-speed pitch. Snell also owns a curveball, but he calls that pitch a supplement to the three main pitches he throws. Currently, Snell owns a 2.17 GO/AO (groundout to flyout ratio) this season in Triple-A, and if the Yankees offense is able to put men on base, Snell will rely on his fastball/sinker to get the Yankees to ground into double plays. The 23-year old from Shoreline, Washington, has struck out 33.3% of all batters faced (including those that reach base and walk) in Triple-A, and his K/9 ratio in 11.57 and 13.19 in 2015 and 2016, respectively, should be enough to scare Yankee fans. In order to do well against Blake Snell, the Yankees offense has to be patient. One of the most concerning issues with Snell today is that his command can waver at times. In 2016, he’s already walked over 11% of the batters he’s faced and has a 4.40 BB/9 ratio. I expect Snell to tread carefully against power bats, such as Mark Teixeira and Alex Rodriguez, even if they have been struggling. Snell is only 23 and he’s grown up watching these guys play, so I suspect he will be careful and may walk them a couple of times today. Since Rays manager Kevin Cash will probably monitor Snell’s pitch count very carefully, if the Yankees offense can make Snell work and drive up his pitch count, his debut in Yankee Stadium may not last long. 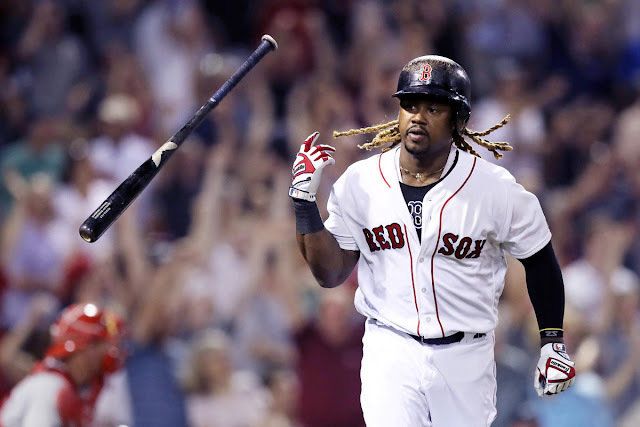 The offense may also need to utilize situational hitting to avoid hitting into momentum-crushing double plays. For example, if the Yankees put runners on first and second with none out and a struggling hitter like Chase Headley (he’s been better as of late) comes to the plate, I would like to see Headley bunt the runners over instead of grounding into a double play. Snell thrives on ground balls, and his sinker will be especially effective should runners reach. The 23-year old prospect is also a lefty and the Yankees have only hit .235 off of lefties all season. 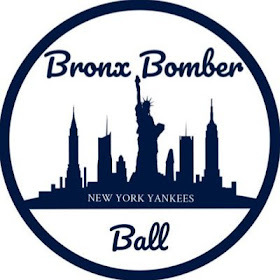 Today’s (Saturday) game will be a fun one to watch, and while I wish Blake Snell a very successful career, I hope the Yankees offense can continue to climb its way back to reaching full potential on Saturday afternoon in The Bronx.